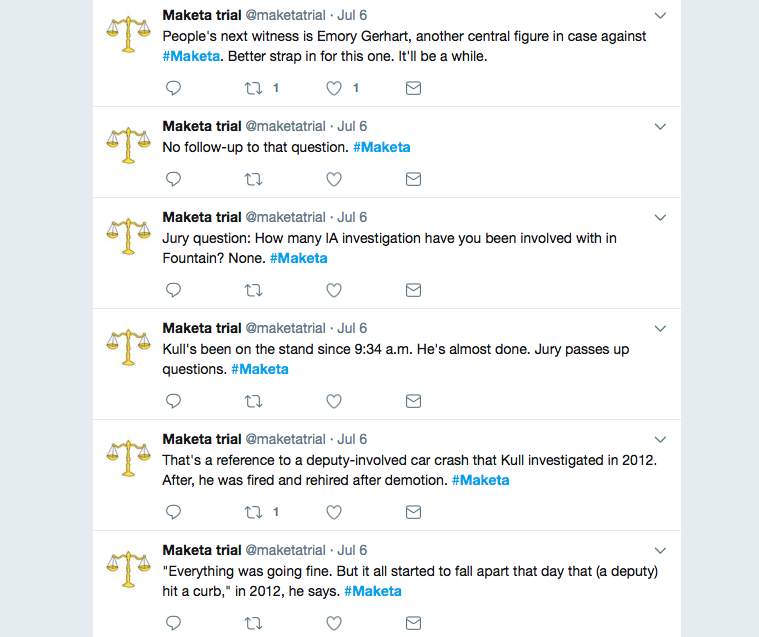 Did Charles Kull Commit Perjury in Maketa Trial? On Thursday, July 6, 2017 at 10:30 am El Paso County Sheriff’s Office Lieutenant Charles Kull took the stand in Terry Maketa’s trial. Kull provided some interesting, if not bizarre testimony. You can review his testimony in the Maketa trial section of this website. 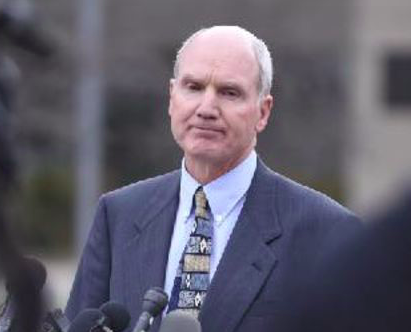 Overall his testimony provided no meaningful information and ultimately the Jury appeared not to believe him because they found Maketa “Not Guilty” for official misconduct concerning Charles Kull. In fact, many stated after the trial Kull should be on the “Brady List” because based on the testimony of multiple individuals (including Kull himself) it was obvious he had departed from the truth on multiple occasions. This is not where the story ends; but rather begins. Read the bottom of one of our updates concerning the trial. Read story. We talk about Kull’s testimony and suggest he might have committed perjury. We stated we were going to look into it; we did. It is our opinion there is no doubt Lt. Charles Kull committed Perjury while testifying under oath in Terry Maketa’s trial. Here are the facts. Based on sources inside the courtroom and tweets by Lance Benzel with the Gazette. 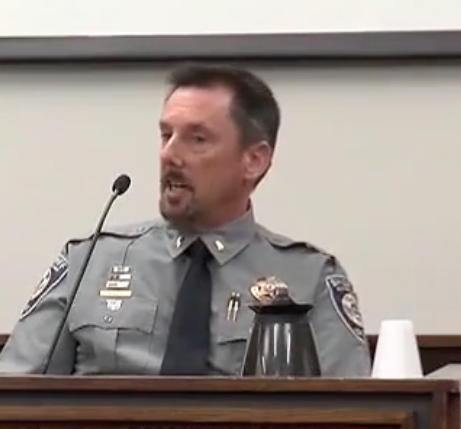 While under oath Kull was asked by the Judge, who was reading a jury question, “How many IA investigation(s) have you been involved with in fountain?”; Kull replied; “None”. Some in the courtroom remember it as; “did you have any IA investigations at Fountain PD?”; and he answered “None” or “No”. Either way it does not matter. While under oath Charles Kull was asked if he was involved in any IA (Internal Affair) investigations while working for Fountain PD. He clearly indicated he had not. This was not true. Here are the tweets from Lance Benzel during Kull’s testimony. Remember you read from the bottom up. According to multiple sources; back in early 2015 Charles Kull was involved in an altercation with a middle school student while an SRO (school resource officer) at Fountain PD. A complaint was made by the parents of the victim and an IA investigation was initiated. The results of that investigation are not clear; nor is it relevant. Charles Kull was involved with an IA investigation while working for Fountain PD. In fact, some sources said he was investigated up to three times during his short tenure with Fountain. The Independent just reported that Fountain PD confirmed Charles Kull had an Internal Affairs investigation while he was employed there as an officer. Read Story. Charles Kull even signed a document notifying him of the investigation. So there is no way he could say he didn’t know. Did Charles Kull just simply forget? There was plenty of time and many witnesses after him; he could have come back and cleared things up prior to the conclusion of the trial. But he chose not to. Many individuals who read this website are, or have been, in law enforcement. Do you forget your IA investigations? Will Kull’s excuse be that he has had so many IA investigations he forgot about this one? Wow, that would be an interesting excuse. It is our understanding Kull is not the only person who might have committed perjury during this trial. We have information that Wendy Habert, Ray Gerhart, Jackie Kirby and Sheriff Bill Elder all might have committed perjury. We are researching. 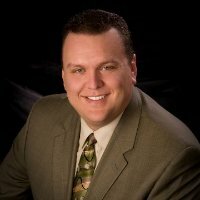 We were informed by a source that during Fountain city manager Scott Trainor’s testimony he also stated Charles Kull did not have any IA investigations during his employment at Fountain PD. If true, it appears Trainor might have also committed perjury. We question why the city manager would know detailed information about Fountain PD IA investigations unless it involved the termination of an employee. Just seems strange that the city manager would comment on this subject. Did the prosecutor, Mark Hurlbert know the jury did not believe Kull’s testimony so he needed someone else to confirm Kull did not have any IA investigations while at Fountain PD? The real question is; did Hurlbert know Kull lied? Is this another example of unethical behavior by Hurlbert? Would Maketa have been found “not guilty” on all charges if witnesses had not lied to the jury? Hopefully in the second trial all the lies will be exposed. Now that the truth about Charles Kull has been exposed, what will happen? Charles Kull departed from the truth while under oath; this requires, by law, that the District Attorney place his name on the “Brady List”. And if Dan May is not corrupt and the Maketa trial not politically motivated; Charles Kull will be charged with perjury. Would there be any hesitation by Dan May in charging Maketa if he had committed perjury during the trial? So can we expect Charles Kull to be charged with Perjury in the near future? 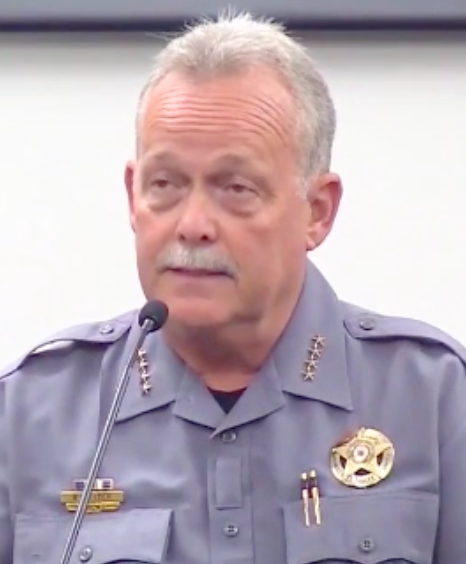 What will Sheriff Bill Elder do? It was clear from the trial Charles Kull has had multiple “sustained” IAs during his career at EPSO. More than one of those investigations were concerning “departing from the truth”. He has been caught lying again; this time under oath during a criminal trial. 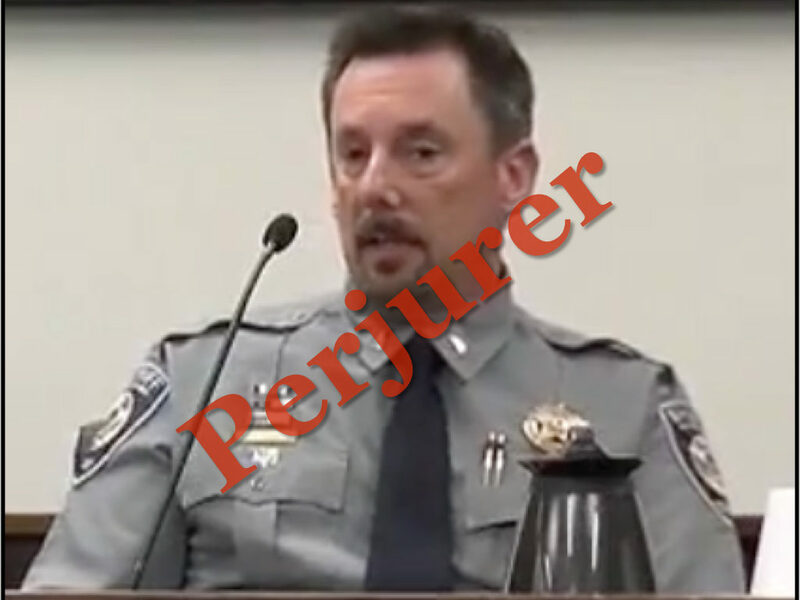 What should happen to a Deputy who as been caught lying multiple times and commits perjury in a criminal trial? 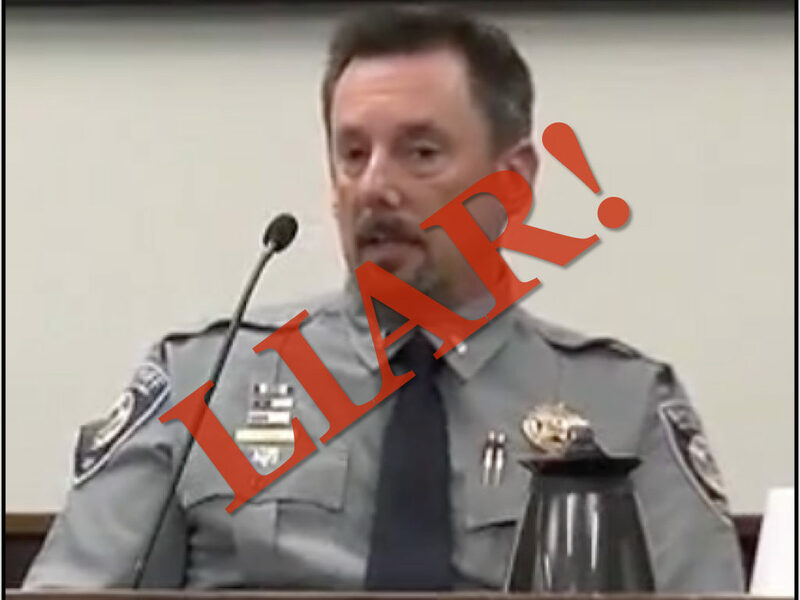 How can the community have confidence in a Law Enforcement agency that employs “LIARS”? If Elder does not deal with the situation appropriately he will lose what little confidence the community has in his ability to run an honest agency. But wait; it also came out in the trial that Charles Kull failed a CVSA (Computer Voice Stress Analysis). He showed deception on the question asking if he knew who stole Bill Elder’s IA file; indicating he knew who did. Even with his checkered ethical work history, Bill Elder rehired Kull as a Sergeant and recently promoted him to Lieutenant. According to a source Kull was re-hired by Elder without any background check or proper vetting process. Why would Elder do this? Does this suggest Bill Elder is “taking care” of Kull because he knows too much? So Bill Elder can’t fire Kull because he runs the risk Kull will “spill the beans” on everything? Is it reasonable that Kull should be fired or at least demoted? We predict Elder will do little if anything, just like Commander King and Lt. Huffor? Because of all the “deals” and all the people who know about Elder’s corruption he can not expect integrity from his staff. How can you require something from others you don’t possess yourself? The house of cards is falling down. Anyone in construction knows if you don’t have a good foundation the house will fall. Law enforcement’s foundation is integrity. Will Charles Kull be properly disciplined and will he be charged with Perjury?